Bored with your old couch at home? Maybe you don’t have enough chairs when visitors come over, luckily designer Stefano Grasselli has come up with an awesome and fun solution. 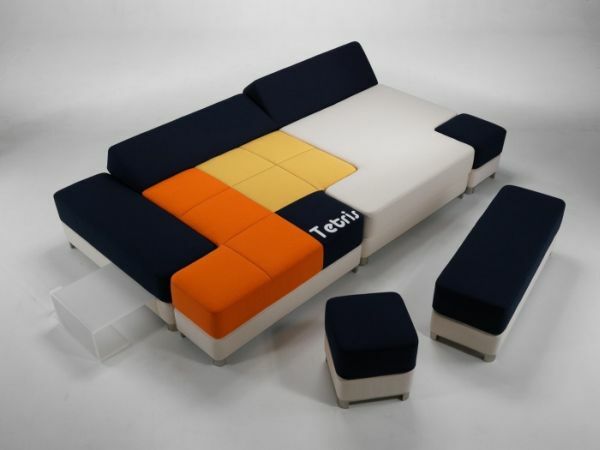 Introducing the Tetris couch. 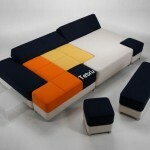 The Tetris couch consists of eight seperate pieces modelled on the shapes from the classic Tetris game. The awesome part is that you can arrange and rearrange each of these eight pieces into any shape to suit any purpose. The cushions on the pieces are also able to be angled for total comfort. I’m pretty sure that this is just a concept design but here’s hoping someone puts it into production! I actually just opened my blog up to the public yesterday after writing all the posts in the week prior. The blog journey begins! Ok.. back to your blog. I’m going to check out some more posts. I’m quite the geek and I love gadgets.. so keep up the great work! Some really select articles on this web site , saved to fav.